Having diabetes opens you to the risk of contracting chronic diseases which are mostly associated with the heart. Things get worse if your blood sugar level is not in control. 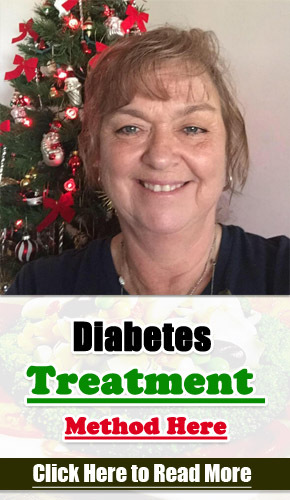 As a diabetic, virtually everything you eat will have a direct impact on your blood sugar level and it is for this reason that you have to be particularly careful about the kind of food you choose to eat. In particular, the high rich fiber pear is a must include fruit in a diabetic diet. 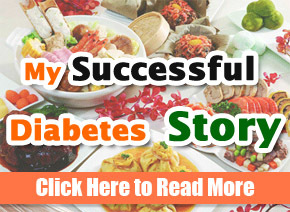 Every diabetic person should ensure that they eat healthily. Pears should be your immediate choice if what you seek is a healthy snack. A medium-sized pear is very rich in fiber and has low calories and carbohydrates that are 26 grams of carbohydrates and 100 calories. Pears have are low in carbs ensuring that you are able to maintain a controlled blood sugar levels. Pears are very rich in fiber with a medium sized pear containing up to 5 g of fiber. Fiber is particularly essential to the body since it helps control the body weight, blood sugar levels and eliminates bad cholesterol in the body. Also, fiber helps in digestion and particularly slows down the absorption of carbs in the bloodstream. Carbs are broken down to produce glucose with the help of insulin, on taking a high fiber diet this will help reduce a sharp rise in the blood sugar levels. As much as the diabetic are advised to keep away from food that is rich in sugar that doesn’t mean that they don’t crave for sweet things. Pears are sweet and as a diabetic, you can eat them without having to worry that this will have a negative effect on the control of your blood sugar level. You can eat pears as a snack, as a dessert or can even combine it with other low carbs meals such as fat-free whipped cream. Though there is no scientific evidence to support the claim, most nutritionist recommends that you should consume fruits together with their skins. 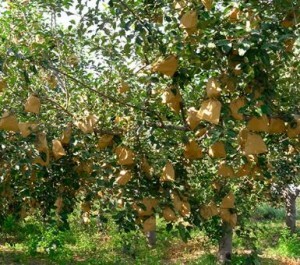 Pears skins, for instance, are claimed to contain at least 4 times as much nutrients as the flesh. A pear skin is very rich in Phenolic phytonutrients which basically includes anti-inflammatory, flavonoids, antioxidants and cinnamic acids. 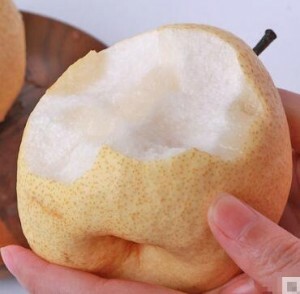 Also, the skin is said to contain about half of all the fiber dietary content in a pear. According to a finding from a recent study targeting women in the US living with type 2 diabetes! The test group was divided into three groups where each group was administered flavonoids, flavan-3-old and anthocyanins respectively. In general, all pears contain flavonoids whereas red-skinned pears have anthocyanins. The findings indicated that the intake of flavonoids is associated with reducing the risk of getting type 2 diabetes in both men and women. According to a study, it was found that a combination of apples and pears to have the ability to reduce the risk of getting type 2 diabetes. This is given the fact that the two fruits are rich in flavonoids and it is the hope of many that this will be adopted in the future to help cure type 2 diabetes. Given its richness in fiber, pears have been linked with protecting individuals from getting type 2 diabetes. 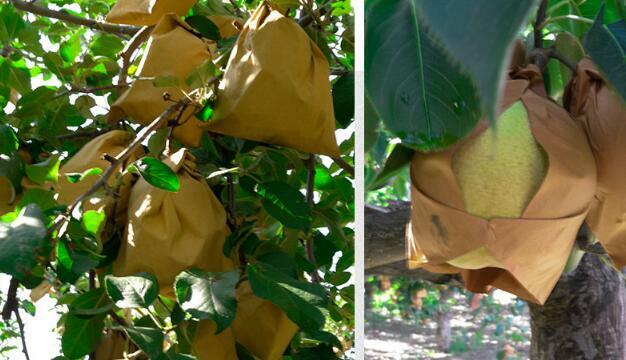 Pears have a combination of both soluble and insoluble fiber. Studies have indicated that intake of adequate fiber in your diet reduces the risk of getting diabetes and heart diseases. This explaining why most pediatricians recommend a diet rich in fiber, with pears being the immediate first choice! Phytonutrients found in pears plays a vital role in the body on the fiber-bile acid interaction as a result low the pool of bile acids and reduce the synthesis of cholesterol. Due to its ability to bind bile acids, pears have been compared with cholestyramine which is a drug that lowers cholesterol levels in the body. At approximately 5% only pineapples and bananas have a higher percentage of bile acid binding ability.